Looking for skip hire Plaistow? If you’re undertaking a building project or just having a good clear out you might think that skip hire is your best option. But have you thought about all the hassle involved with permit issues, problems with space, access and grief from your neighbours? Not to mention the cost! Of course there are times when skip hire really is your best option. We’ve been supplying skip hire Plaistow residents and businessestrust and recommend for over a decade. 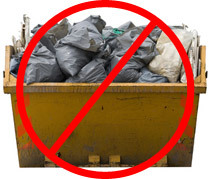 Like them, you can rely on us to arrange skip hire for you at a competitive price. To discuss your options for skip hire Plaistow and get a competitive quote please contact us at 0208 504 7390 or 07957 123 019. Our experienced team will be happy to answer any questions you may have. Alternatively, you can reach out to us online for a quick and easy no obligation quote.